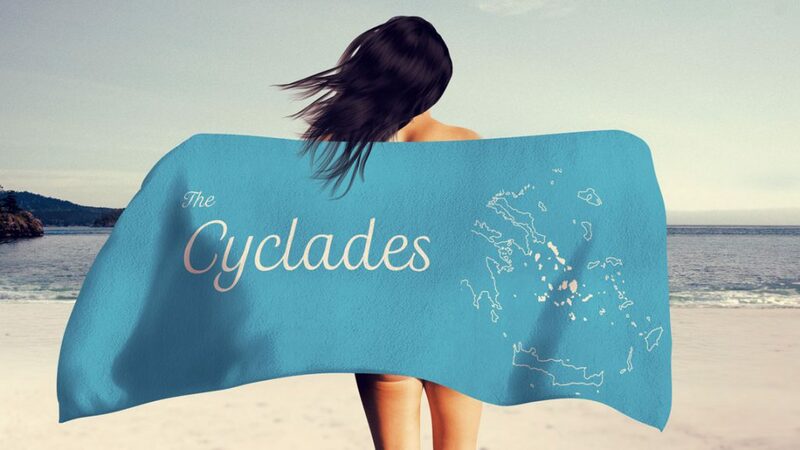 The 56 Great and small Cycladic islands, of which only about 30 are inhabited, are located in the heart of the Aegean, where three continents meet Asia, Europe, and Africa. They are the most numerous group of islands of the Aegean and have as a common characteristics a Rocky ground, with some exceptions, such as for example Naxos – Little water, incomparably beautiful beaches, crystal clear water, the cooling Metmia winds and significant Archeological Cities – The most important among them is by far Delos. The Traditional Cycladic architecture and the warm friendliness of its inhabitants. From a administrative point of view they form the province of Cyclades with its capital Ermoupolis on Syros. The first settlers of the islands were Phoenicians, Carians and Leleges (Middle Stone Age, 7500-6500 BC.). Between 3200 and 1100 BC. in the area of the Aegean has developed a significant independent culture, the Cycladic. The Cycladic culture is Divides into three periods , which are, the Early Cycladic culture (3200 to 2000 BC. ), mid Cycladic culture (2000 to 1550 BC.) and the late Cycladic culture (1550-1100 BC). The most significant Peridode was the so called Keros – Syros period (2700 – 2000 BC.). The inhabitants of the Cyclades had in that time knew the processing of clay, bronze and stone, and produced from these materials weapons, tools, appliances, jewellery and idols. The characteristic products of the Cycladic culture are the famous Cycladic idols, Marmoreal sculptures from 5 cm to 1.50m in size, mostly female, and less often male sculptures. The Cycladic culture fell after the eruption of the volcano of Santorini – about 1500 BC. – And by the immigration of the Dorians. Excavations in Keros, Milos, Naxos , Paros , Antiparos , Syros , Siphnos , Amorgos , Kea have brought important finds of the Cycladic culture to light. During the 7th and 6th century. BC. the Cyclades experienced a new period of prosperity, founded colonies, built on good trade relations and dominated the Aegean, while Delos was ,with his Apollo temple, the religious and cultural center for the whole Greek world. During the Persian Wars, the Cyclades were conquered by the opposing parties, but then they fell by the Persians and Fought alongside the rest of the Greeks. They were among the first in the Delian League, which had its headquarters in Delos. During the Peloponnesian War (431 – 404.BC.) they fought alternately on the side of the Athenians and the Spartans. Later, they were then conquered by the Macedonians, Rhodians, the Egyptian Ptolemies and the Romans. During the Byzantine period the islands were part of the Aegean province, for the islands was this a period of decline due to the constant pirate attacks to which they were exposed. After 1204 CE. , the islands came under the rule of the Venetians. They formed the Duchy of Naxos or Archipelaos. In the years between 1537-1538 , the Cyclades were sacked by the pirate Barbarossa and then came 1580-1617 under Ottoman rule. During this time they were given by the authorities considerable privileges and were able to maintain trade and shipping. Later during the War of Liberation , they were able to actively support their compatriots. After liberation from the ottomans, they were in 1830 incorporated into the Modern Greek State (Treaty of London).